It happens to most of us. We hit a certain age and everyone we know starts getting married all at once. One day out of the blue, invitations to friends’ engagement parties and weddings start streaming in seemingly every weekend. This makes us feel special for being given the opportunity to watch and cheer as two people make a lifelong commitment of love to each other. Since weddings are joyous occasions filled with love and champagne, we do not want to miss them especially when it is our friends getting married. So, we RSVP, buy expensive gifts and outfits and make travel and accommodation arrangements for the special day. Amid all the excitement, the cost of attending these weddings seems trivial. This is until the third or fourth wedding of the year when it dawns on us that we are shelling out too much money yet we are not the ones getting married. When a couple is getting married, they are often reminded that it is their special day, which should be all about them. If this were true, the cost of the wedding would be mostly down to them but it is not. Taking into account everything that goes into attending a wedding – taking time off work, traveling long distances and spending a lot of money, weddings are very expensive occasions even for the guests. 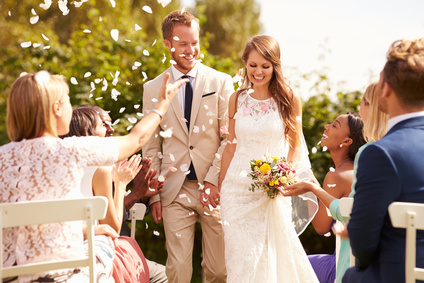 To attend a couple of weddings in a year, you must either take out a personal loan or plan a budget beforehand. Yes, wedding budget planning is not just for the couple getting married. Financial experts advise that you should factor weddings and other shindigs into your budget every year. Figure out how many wedding events you can afford to attend during the year and plan a budget for them. Say no to the rest. To avoid spending most of your savings or taking out a loan to enable you attend a wedding, here are some tips that can help you cut costs. Before you RSVP “yes” to a wedding, you must first know its location and figure out how you will get there. This will help you plan and budget for travel and accommodation expenses. If the wedding is not within driving distance, you should start thinking about flights well in advance. Conduct proper research to figure out the best time to book and the best flights to take. You should also make accommodation plans well in advance. Look for discounted hotel rates or call the hotels to make special arrangements for accommodation during the duration of the wedding. Wedding gift etiquette has to be one of the biggest causes of confusion for guests. Some feel that they should spend a lot on them but others feel that if other expenses like travel are involved, they should buy a cheap gift. Wedding etiquette experts however advice there is no fixed amount that a guest is expected to spend on a gift. You should base your spending on your own budget. Avoid shelling out cash on clothing you’ll probably wear only once. Pre and post wedding events like the bridal shower, rehearsal dinner and breakfast can make the wedding formalwear budget add up quickly. There are a number of ways to get around spending a lot of money on clothing. One is renting. A number of outlets can let you rent trendy clothing and accessories at a fraction of the retail cost. The second option is raiding your friends’ closet to find something classy to wear. Finally, you can sell your old formalwear to get funds to buy something new.